In Malay its Paku Rawan and English called it Yellow Sawah Lettuce or its scientific name Limnocharis flava is native to Southeast Asia. 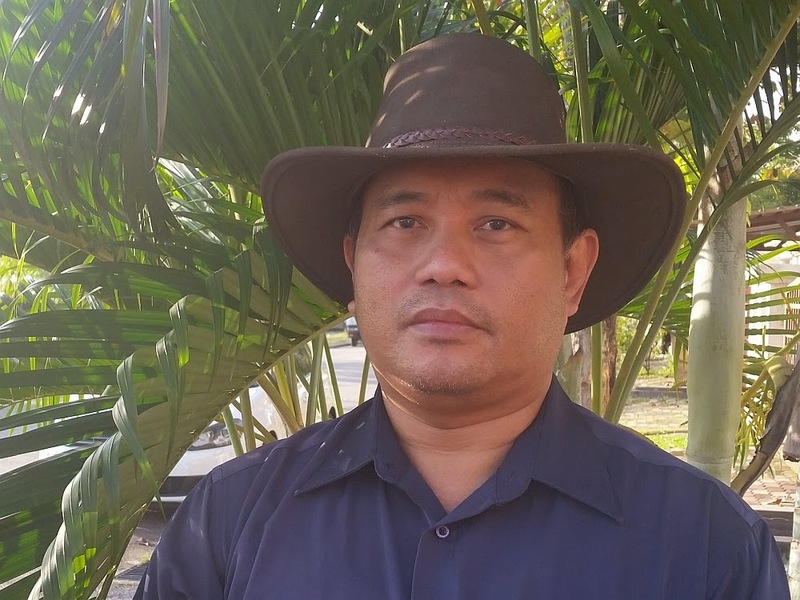 They normally grow in swampy area or water margins, common to be found in rice paddies and could be a noxious weed if not checked. 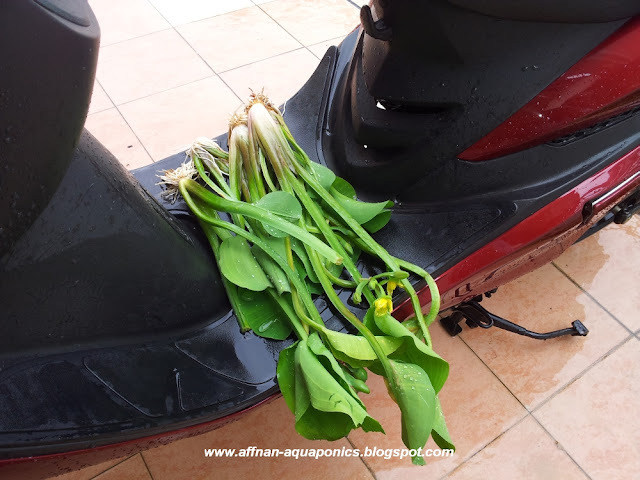 Yellow Sawah Lettuce, actually "Sawah" is the Malay word for Paddy Field. 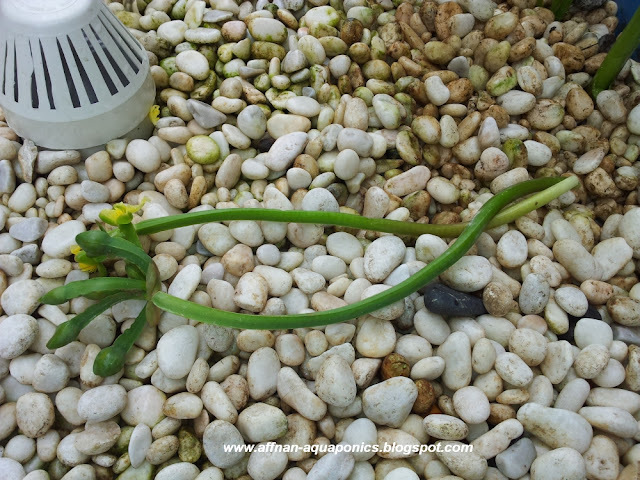 This plant is edible and since my set is new, these plants are great to start out. Almost an Aquatic plant, they has good water cleansing properties like that Paku that I previously grows. 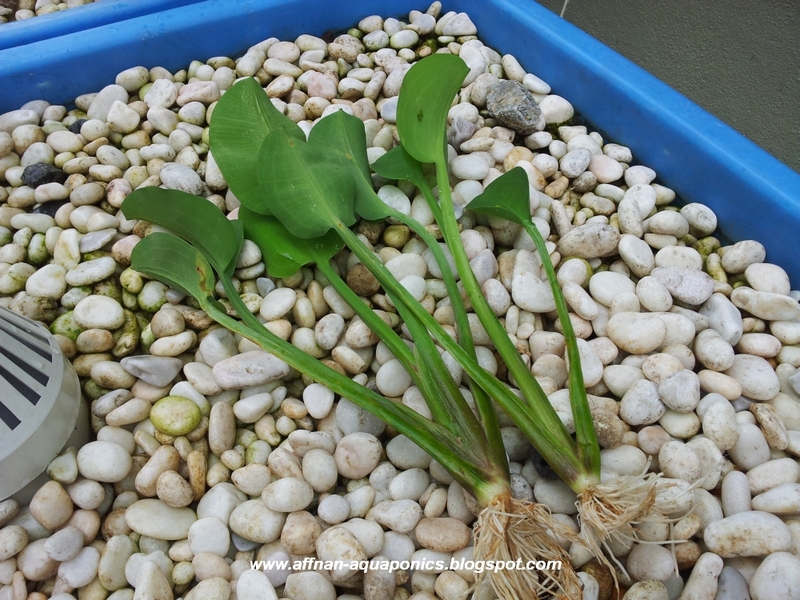 Flower of this plants and its stalk is edible and can be use in many dishes or just boil and eaten with rice and sambal. 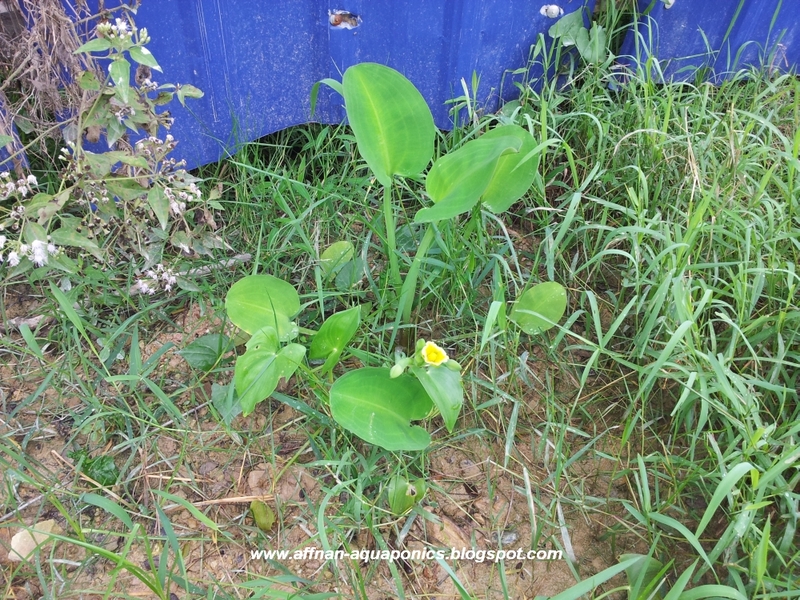 This plants considered as poor man's food in the old days since they can be found everywhere in this part of the world and due to its flat taste. Set out with my little scooter and get myself all muddied collected these few for my growbed. Yup really muddy, the plants and my little scooter need a good rinse after that short ride about 5 kilometers away to an isolated stream by a small road. All cleaned up, few leaves and root clipped for planting. Planted five plant and its gloomy weather today so they'll grow. 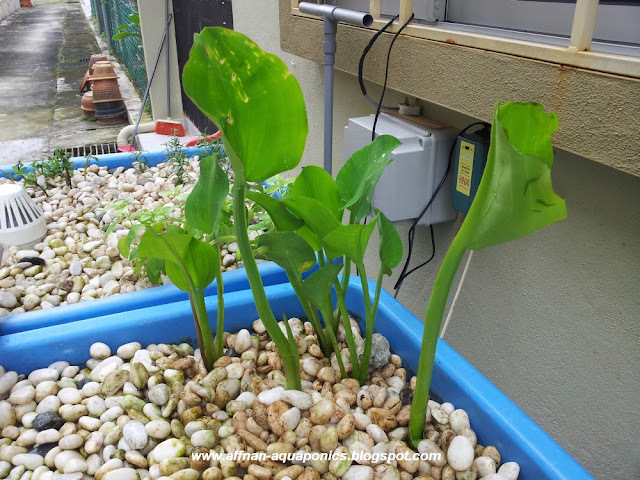 During initial setup is important to get some plants going so that it will make use of all that Nitrate produce and this plant is Aquatic it can use nutrient directly without waiting for growbed to mature. That's the edible part, the flower bud and stalk. 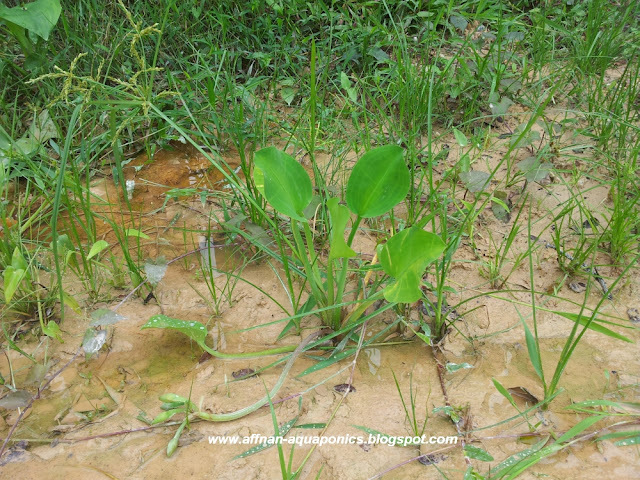 I saw similar plant growth around Kampung subang area drains, even spotted some inside unclear drain next to the Subang airport highway. Also read some article that say such plant are good heavy metal absorber. 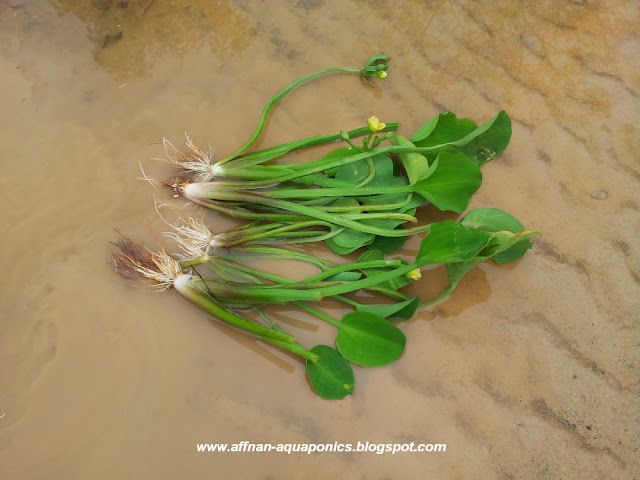 Yes this plant are found in those area along drains, however the ones that good absorber of heavy metal are the Water hyacinth which is non edible.